Deal Categories: Gym Apparel.Stores: Proozy. 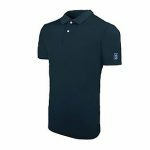 Originally $60, this men’s PGA Tour Knit Polo falls from $29.99 to $12 when you apply code MASTERS at checkout at Proozy. Plus shipping is free. That beats our previous best lowest price $7! Most other retailers are selling this same polo for $20-24. Deal Categories: Gym Apparel.Stores: Columbia. 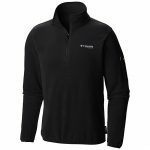 Columbia offers the Titan Pass 1.0 Half Zip Fleece Jacket, in 2 colors for $29.99. Use coupon COLAPRIL19 during checkout and bring it to $23.99. Sign up for a free Greater Rewards to get free shipping.